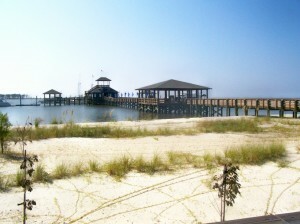 Biloxi features the longest man-made beach in the world (26 miles of sparkling white sand). In the early 21st century, Biloxi’s economy rests on the three prongs of seafood, tourism and gaming. 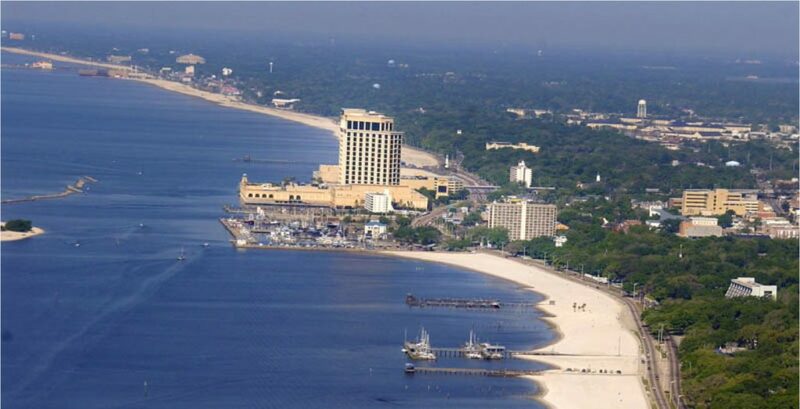 With the introduction of legal gambling in Mississippi in the 1990s, Biloxi became an important center for casinos, and the hotels and complexes brought millions of dollars in tourism revenue to the city. 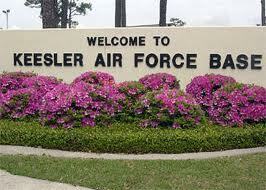 During World War II, the United States Army Air Forces built Keesler Field, now Keesler Air Force Base, which became a major basic training site and site for aircraft maintenance. The Biloxi economy boomed as a result, again bringing more diverse groups to the area. Biloxi has lived under several flags. Settled by French colonists in the late 17th and early 18th centuries, she served as the capital of French Louisiana from 1720 to 1723 until it was moved to New Orleans. British rule took over from 1763 to 1779 and then Spanish rule from 1779 to 1798. Despite this, the character of Biloxi remained mostly French. In 1811, Biloxi came under United States of America control as part of the Mississippi Territory. 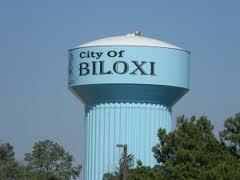 Now that ownership was settled, Biloxi began to grow. 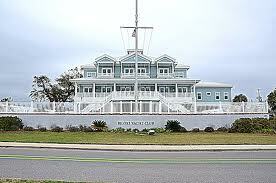 It became a summer resort, with the advantages of close proximity to New Orleans and ease of access via water. Summer homes were built by well-to-do farmers and commercial figures. 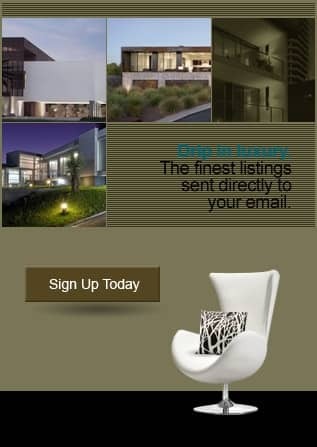 Hotels and rental cottages came into existence to serve those who could not afford their own homes. After the Civil War, Biloxi again emerged as a vacation spot. It’s popularity as a destination increased with railroad access. In 1881, the first cannery was built in the town, leading to others soon joining the location. Biloxi grew again, and as different ethnic groups came to work in the seafood factories, Biloxi gained a more heterogeneous population.